70% of Hongkongers said they have never paid for something using their smartphone, revealed a survey conducted by the Hong Kong Productivity Council in 2018. Despite the plethora of mobile payment options popping up in the city, on 23% surveyed by the HKIRC and Internet Society said they use the cutting-edge methods. Mobile payment is essentially using a smartphone or smartwatch to pay for a product or service, or to send money in a few taps. This can be done through installed apps with a scannable barcode or QR code, or sometimes an electronic device using near-field-communication (NFC) technology. In Hong Kong, the HKMA regulates stored value facilities (SVF), commonly known as mobile payment apps, which stores money from debit and credit card accounts. Hong Kong doesn’t seem to lag behind in the technology but Hongkonger has a separation anxiety with the city’s beloved first contactless payment – the Octopus Card. As Hong Kong pushes to catch-up with the race to go cashless, let’s have a look at the main mobile payment apps running around Hong Kong. A study conducted by GroupM seem to indicate that when it comes to user base WeChat and AliPay are toe to toe with OlePay coming in as a close second. However it’s important to note that due to the small sample size the study is more indicative than it is definitive. It goes without saying that Apple Pay is operated by Apple, it functions as a Hosted Card Emulation (HCE) where you are able to store your payment cards and conduct transactions through the app. Apple Pay works with many of the major credit, debit, and prepaid cards from the top banks and card issuers. It is compatible with existing contactless terminals. Ant Financial operates Alipay HK. In November 2018, Alipay HK announced that it inked a deal with MTR Corporation to use a QR code mobile payment solution.The new mobile payment system allows users to scan a QR code from their smartphones onto the MTR’s turnstile reader. Alipay HK said the new QR code payment system will be rolled out in 91 MTR stations by mid-2020. As of June 2018, Alipay HK has 1.5 million registered users. 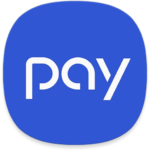 O!e Pay is an app which can be used on devices with NFC to may cashless payments and P2P transfers. As Hongkonger’s to-up the value in their Octopus Cards, the balance can be transferred over to the O!e Pay app to buy e-ticketing, QR code payments and other digital payments. 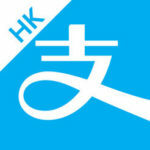 PayMe is a peer-to-peer (P2P) payment service created by HSBC Hong Kong. PayMe is the go-to mobile app split the bill after lunch in Hong Kong. Users first need to register with either their Facebook or phone number, and then link up their credit card or bank accounts to PayMe. 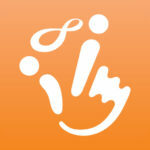 The app encourages users to “add friends” to their PayMe account to make cash transfers easier and faster. 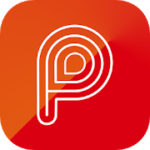 As a P2P app, users can only make payments to other PayMe users and not to vendors. To improve purchasing usability, PayMe partnered with HKTV Mall to allow payments through the app for both online and in-store purchases. After launching for a year, PayMe reached 1 million users in June 2018. TNG Wallet is a homegrown e-wallet provider launched in Hong Kong in 2015 with 600,000 active users in the city.TNG Wallet uses an online-to-offline (O2O) mobile suite which can be used for merchant and purchase payments, P2P money transfers, cash withdrawals, utilities payment and SIM card top-up. TNG Wallet also expanded to 12 locations in Asia which offers global remittance, cross-border transfers and currency exchanges. Telecommunications provider HKT’s Tap&Go e-wallet allows users to pay with MasterCard and UnionPay on their smartphones. Samsung Pay’s Smart Octopus partnership with MTR is as functional at the physical version of the octopus card. Samsung phone users using the Samsung Note, Samsung S, Samsung A and Samsung C series can use the near-field-communication (NFC) device to tap for purchases. 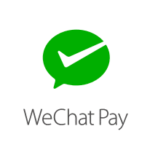 Tencent’s WeChat is a multi-purpose app for social media, messaging and mobile payments. Every WeChat user can link their debit card to the balance of their WeChat Pay account to transfer money and make purchases. Meanwhile, users who link their credit cards can only make payments to vendors. WeChat HK has over 40 vendor partners in Hong Kong, including food chains under the Maxim Group and retail partners such as Sasa Cosmetics and G2000 apparel.